Beautiful Madeira Beach, Florida waterfront home. Wow! 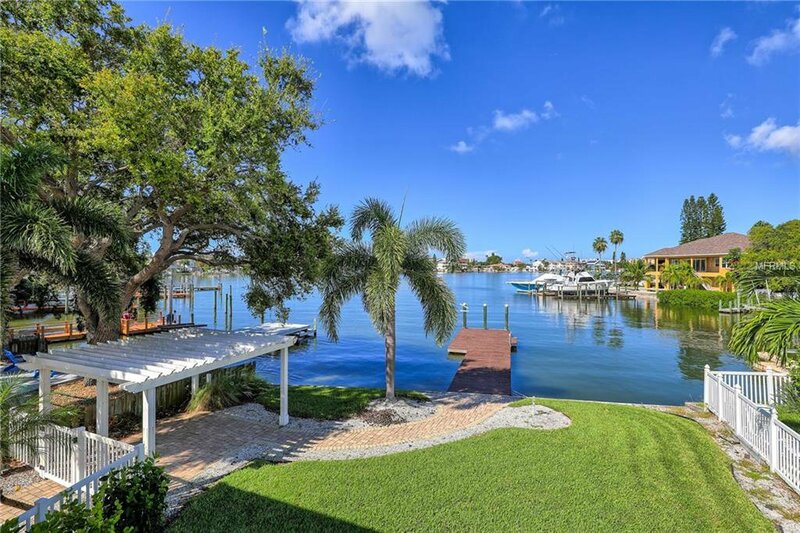 This 2003 custom built Intracoastal home offers fantastic water with a large dock. Your dock is fully powered ready for your boat lifts to be installed. You’ll be fishing in the Gulf in just minutes. Jump in your boat and enjoy the many boat friendly restaurants we have in our area. Or head out through John’s Pass and catch your own fresh fish dinner. Inside your home you have beautiful water views, soaring ceilings, wonderful floor plan, solid wood floors. Beautiful bright kitchen with convection double oven, loads of counter space and a walk-in pantry. The kitchen and dining/living areas are all incorporated with windows and three french doors to your waterfront balcony. You'll own Family & Friends gathering headquarters. The lower level of your home is finished out with large ceramic tiles and offers a bedroom and full bathroom. You'll have a 30 X 14 recreation room with french doors leading out to your large patio and backyard. Follow the brick paver sidewalk to your pergola and boat dock. This home is truly living in paradise and to top it off. Your AC system was replaced March 2018 and your roof is metal. Come see your new home today!!! Listing courtesy of CENTURY 21 COAST TO COAST. Selling Office: GSE PROPERTIES.